When I was a kid the best day of the week was new release day. My friend Steve and I would hop onto a Muni bus and then transfer to the J Church Muni line to get to our favorite comic book store. We would sit in the store for hours looking through the new books. We had a few that we bought no matter what but we were always looking for good stories and art. Even as a kid I was all about story. This ritual was the most important part of my childhood. Comics were my religion. The comic book shop was my church. I was safe and happy there. I don’t think I have felt that enthusiasm for comics since then. I have always read them but a little of the shine had worn off (especially DC and Marvel Comics). The DC Universe relaunch has really given this back to me. After last Wednesday all I could think about was I can’t wait until next week. I am just bursting at the seems to get my hands on the books. Digital has a lot to do with this because I can finally get my books when they come out, not months later. As we roll into the third week I can’t wait to see what surprises me next (here is the link for my week 1 and week 2 reviews). This is going to be a hard book for me to like. I am not a fan of the character Damien as Robin. Nothing I read in these pages changed my mind. I do not like the interaction between him and Batman. I think it is silly to try and get the readers to believe Batman would let Robin willingly disobey his orders and put them in danger. The bratty dialog was not to my liking. This was also the first book which left me a little confused about the reboot timeline. Somehow Damien knows about all the previous Robins. How many Robin’s has Batman gone through since the timeline started over? The art was not bad and others might not have the Damien problem I have. 6 out of 10. This book was a long time coming. It was originally supposed to appear in 2010 and was delayed several times. Finally, DC decided to hold it off and relaunch it during the reboot. I am not sure how much, if any, of the story had to be redone for the reboot. 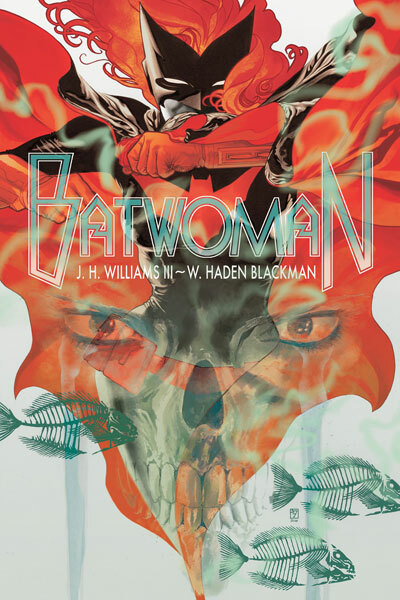 Let me start off by saying Batwoman is drawn beautifully. I loved, loved the art in this book. I think you could argue this book might be worth buying for the art alone. Luckily, the story was quite good also. A good solid mystery to sink our teeth into right away. There were a few parts I actually thought the writing got a little wordy but not many. I really can’t wait to read the next one. I do have my usual complaint though. I know this book is part of the Batman family but could we have waited a few issues before Batman made his appearance ? I repeat what I said last week. Batman is the worst secretive loner ever. 9 out of 10. 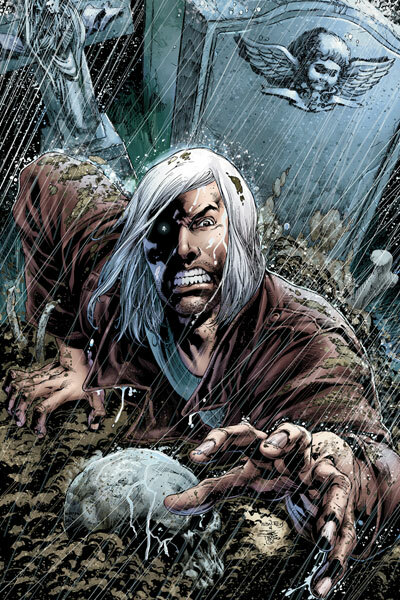 I admit I was a little perplexed when I saw Deathstroke was getting his own book. 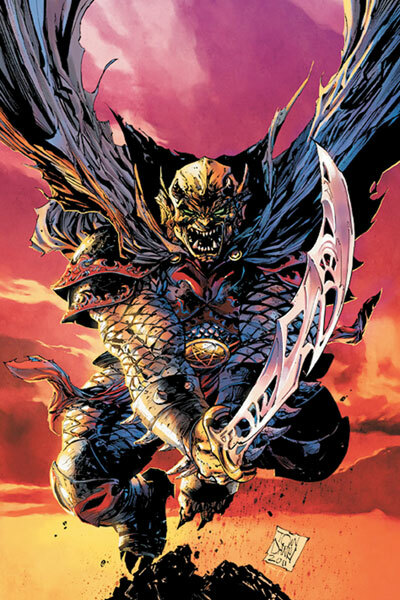 One of my all time favorite villains of the DC Universe. I decided to put on my “roll with it” hat and give it a chance. 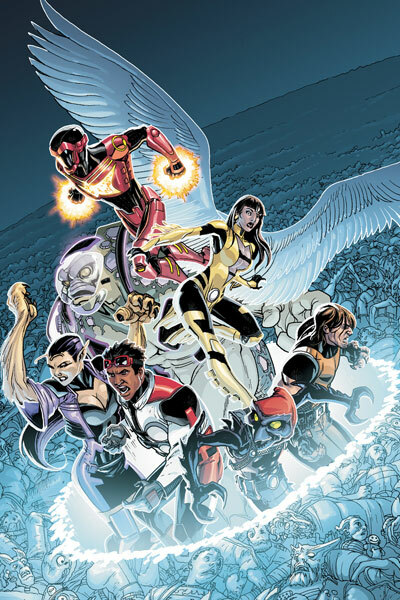 The reboot was supposed to be all about bringing in new readers, trying new things. This book is a hard one to review, not because I didn’t like it, I did. I just don’t want to given anything away. This book was a pleasant surprise. The art was good, some genuinely funny moments and a story you could sink your teeth into. 8.5 out of 10. This was a hard one for me. I love it is set way in the past and the passing references to Camelot. I have always liked Demon and am interested to see where they go with it. It has a lovely touch of supernatural and fantasy. The art is good and the storyline was interesting. This is a book made for me and yet honestly it didn’t completely grab me. I was certainly left wanting more and have hope the book will pick up. I think a lot of people are going to like this book more than I did. 7.5 out of 10. I have to be honest when I heard this book announced I was not at all hopeful. Then I saw who was writing it and thought, hmm, maybe. Now I have read it and I am not completely sure how I feel. I love horror comics and this one looks like it is leaning in that direction. The problem I have is the art is all over the place (some good, some not so much) and I felt they jammed the story with a lot of exposition to give us an idea what the heck was going on. This leaves me firmly on the fence. I see the potential and I think Jeff Lemire is a great writer. I will ride this one out for a few issues. 7 out of 10. I guess I should start off with a confession. I have never liked Green Lantern. I don’t know why because really I should. I love science fiction and Green Lantern has always leaned towards world building science fiction stories. I have tried several times over the year with little success. I liked the Green Lantern/Green Arrow run in the 70’s but really Adams and O’Neil were the main reason for that. In a lot of ways I was expecting to not like this comic. I didn’t think it would be bad but I expected more of the Green Lantern I have grown to not care about. While the first issue wasn’t perfect I did enjoy it more than I thought I would. I liked the new more fallible Jordan. 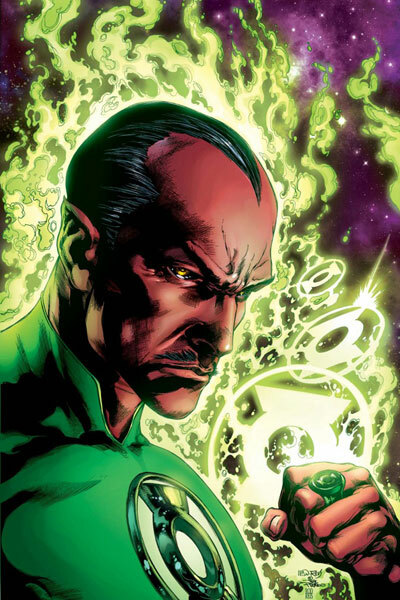 The mystery behind Sinestro hooked me and I loved the art. It also had a few funny moments in it. I did think it was going to be a hard book for a new reader to just pick up and dive into though. I have to assume they are hoping the new readers have seen the movie. 8 out of 10. Another book I had zero expectations for and was pleasantly surprised. I loved the story. The mystery it sets up is very good. The dialog was crisp and the art solid. So far I have been very impressed with how well they have incorporated the Wildstorm Universe into the DC one. You know you have experienced some good writing when you have no idea what is going on but want to come back for more. 8.5 out of 10. I was worried when I read the announcement for this book. There has been a couple of great Legion story lines over the years but I was not sure the Legion of Superheroes needed two books. Especially, if they were siphoning off some of the best characters. Why not do one really good book? My worries met reality today and I have to say I was disappointed with this book. The art was okay but the storyline was slow and truthfully has been done a bazillion times before (this is a slight exaggeration). It wasn’t that the book was terrible but there was nothing really impressive about it either. It was just kind of there. 6.5 out of 10. I really wanted to like this book more than I did. Some of the dialog was really snappy and funny. The problem is it was really just an average superhero book. Absolutely nothing new under the sun. It didn’t hook me at all. The story had all the classic comic stories. Smart boy becomes smart man becomes hero after traumatic event. I don’t mind reading superhero books but was looking for more out of the reboot. 7 out of 10. The whole spectrum of rainbow lanterns happened at a time I did not read Green Lantern. I vaguely knew what they were. I was actually looking forward to this book more than Green Lantern, mainly because of Peter Milligan. Milligan is a little all over the place as a writer in his career. Sometimes I love him and sometimes I wonder what was that? Color me red with surprise on this book (sorry about the bad pun I should have warned you). This book was worth buying for the first few pages alone. I laughed out loud at the introduction to the Red Lanterns. I really loved this book. It was a little heavy-handed in the writing in a few places but I was completely hooked. I can only hope the book stays this good. It looks like I have been suckered completely into the Lantern world, rainbow colors and all. 9 out of 10. I love the premise of this book. A man dies. A man comes back. When he comes back he always has a new power. Throw in some supernatural creatures wanting to eat his soul and some very good writing and you have a winner. I am finding it interesting which of the supernatural/horror books I am digging the most. I liked this one a lot. Nice set up for the story and art that felt just right for the book. Had moments where it felt very much like a Vertigo book. A solid start. 8.5 out of 10. I am not sure about this book. 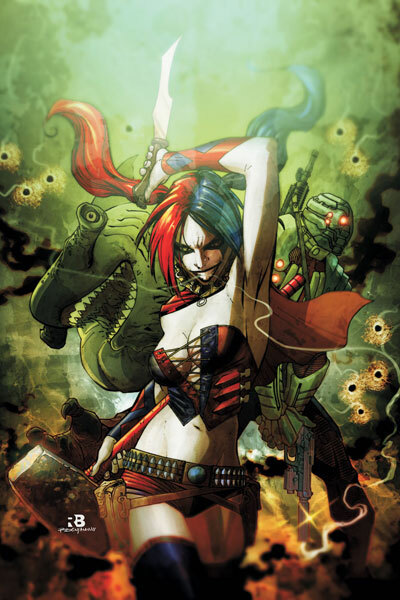 The suicide squad has always been an interesting concept for me. Take a bunch of bad guys and set them loose on the world. I have read a few stories over the years which worked nicely. This book did an okay job setting up the world and the characters. It is quite possible I will like future issues more. My main problem with the first one is I felt it spent all of its time trying to set up the world and the characters’ viewpoints. I know you want new readers but you have to show a little trust in them. I think we would have picked up the story dishing a little of the back story at a time. Harley Quinn was awesome though. 7 out of 10. In order for Superboy to work for me it was going to have to do something completely different from any of the other Superman books. As I have said before I have never been a big Superman fan. This lack of fandom applies to all of his extended family. I was very pleased with the way they set up this story. Just enough of the back story to leave you wanting more. A connection to Superman but a very different book. It was a well written first book with a nice mystery to carry it forward. I also liked the art a lot. A solid superhero book. I think a lot of people will be pleasantly surprised with the direction and tone the comic took. 8 out of 10. 1) Animal Man – I was hoping this book would be great in Lemire’s hands and it was. The art was creepy and gave power to the excellent story. 2) Action Comics – A complete shock to me. Even with Morrison on board I didn’t expect to like this book as much as I did. 3) Stormwatch – Exciting story and everything I had hoped the first Justice League would be. Left me wishing I had the second book. 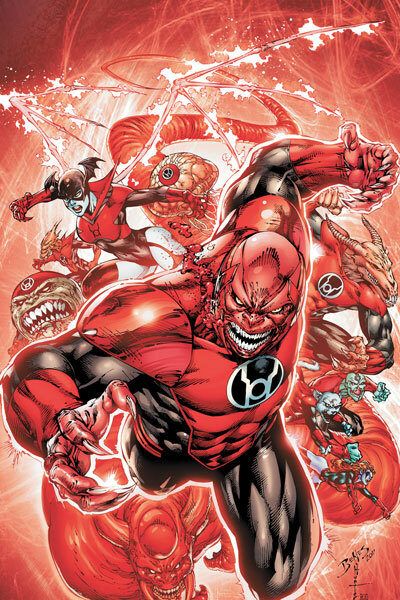 4) Red Lanterns – Seriously, even if you don’t buy this book find a way to read the first few pages. I dare you not to laugh. 5) Batwoman – The art was gorgeous. I am hoping this book won’t be plagued with lateness though. I am going to assume they have quite a few issues ready to go since it was supposed to come out last year. 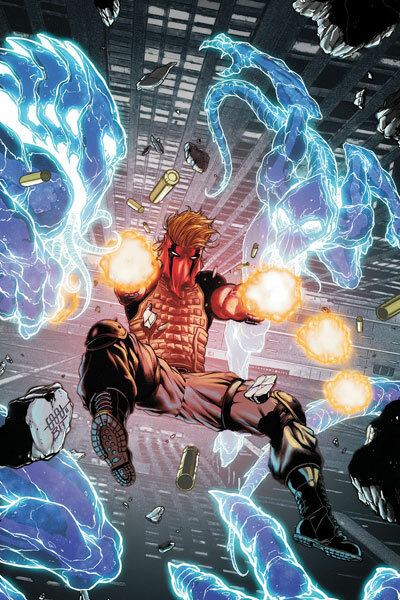 6) Grifter – Not quite up to the start of Stormwatch but close. I was hooked pretty quickly into the story. 7) Resurrection Man – I was really hoping to like this book. I love the premise and can see a lot of potential. They delivered a very good first book. 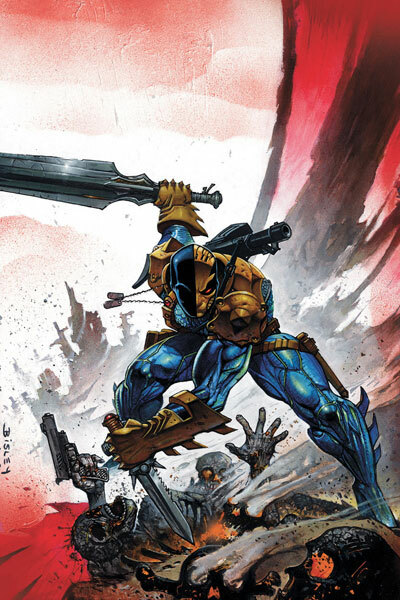 8 ) Deathstroke – I refuse to say anything on the grounds I will ruin the story for you. I enjoyed it way more than I thought I would. 9) Swamp Thing – A great start to a character I once really loved. It reads well for new readers and I like how they poked the old readers who thought they knew what was happening. 10) Batgirl – An above average bat book. Didn’t blow me away but a solid superhero comic. 11) Green Lantern – Had a lot of elements I really liked. Nothing new or crazy for a comic but I look forward to seeing where the first story goes. 12) Men of War – I hope the second story picks up a little because I have a feeling the Sergeant Rock storyline is going to only get better. 13) Superboy – I liked the other world quality Superboy gives off. It has a solid science fiction story behind it too. This book has a lot of potential. 14) Justice League – It wasn’t what I was hoping for right out of the gate but I think it will get better. 15) Demon Knights – This was a good solid almost for me but I have hope I am going to like it a lot more in future issues. 16) Detective Comics – I was underwhelmed with the story. It wasn’t terrible but it read like every other standard Joker-Batman book. 17) Frankenstien, Agent of S.H.A.D.E. – The art is going to put a lot of people off. I have faith in Jeff Lemire though, and expect this book to get steadily better. 18) Green Arrow – Not a blazing shot out of the cannon but there is hope. I like Green Arrow so I want this book to succeed. 19) Batwing – You could flip-flop this one with Green Arrow. They are about the same for me. 20) Justice League International – First thing this book needs to do is get rid of Batman. Then jump out of the box and try something new. 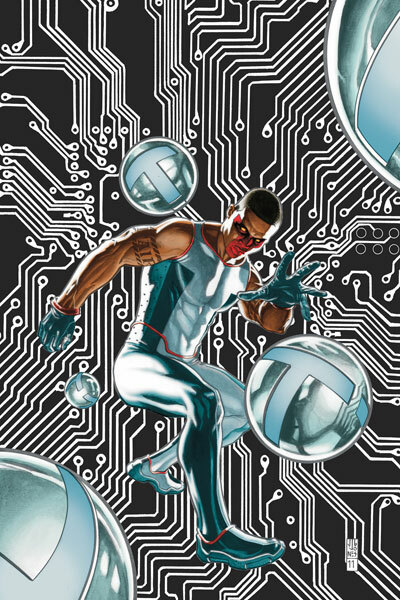 21) Mister Terrific – A very predictable book. The dialog saved it from being a total wash for me. 22) Suicide Squad – I actually saw some potential in this book but the story is going to have to get going in the next issue. 23) O.M.A.C. 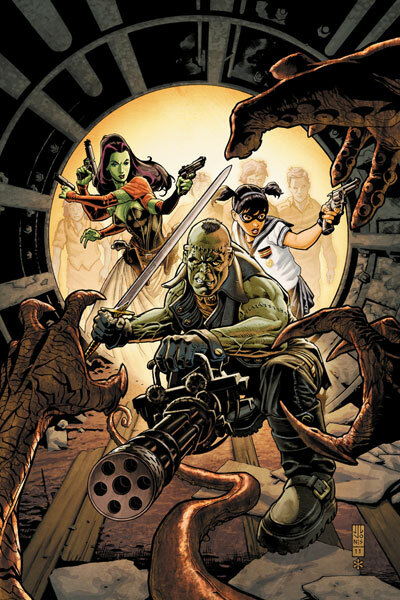 – I liked the art but I have always been a fan of Giffen. The book barely held together on the story front. 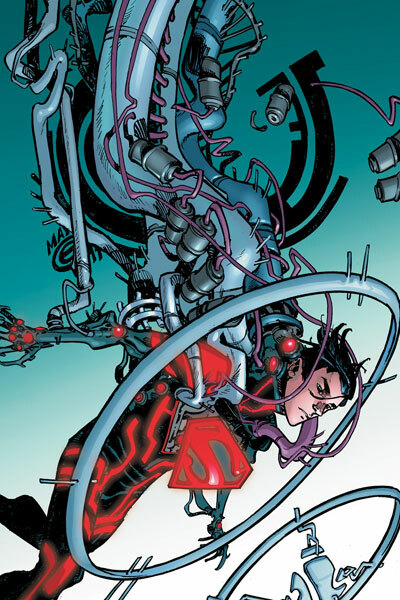 24) Legion Lost– I might have been tempted to give it a higher rating if the story hadn’t felt so clichéd. I guess there is hope it will pick up but just a glimmer. 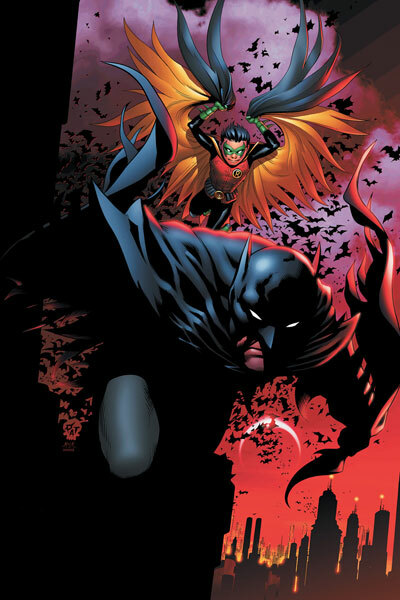 25) Batman & Robin – They won’t cancel this book but for me it is going to have to get a whole lot better. I am a Batman fan and I just didn’t dig it. 26) Hawk & Dove – Right now I see this book as an early possibility of getting voted off my DC island. 27) Static Shock – The art was okay but nothing else about this book caught my imagination. Could also easily be voted off my DC island. Interesting. I think my opinions of the Lantern books are a switch of yours – I thought that Green Lantern was one notch above Red Lanterns, but that’s likely because of my being a big GL fan and that it would seem (so far) that nothing has really changed from before the great reboot. But with Geoff Johns writing both Green Lantern and Flashpoint, that’s not surprising.